"A comprehensive course with a huge array of materials." Like many people I have wanted to be able to speak basic French. Being able to impress a dinner companion by ordering directly from the menu at a fancy French restaurant or to converse with the locals at a Parisian cafe seems like a great skill to acquire. After reading a number of reviews online I decided to try Living Language French. The course promises to teach real-life French used by everyday people. This is the same teaching approach used by the US Department of State to prepare their employees for postings in France. Below I share my experience with this language course, including what material is contained inside and what I felt to be the major pros and cons of this course. I also compared Living language French to some of the other leading French language courses on the market. 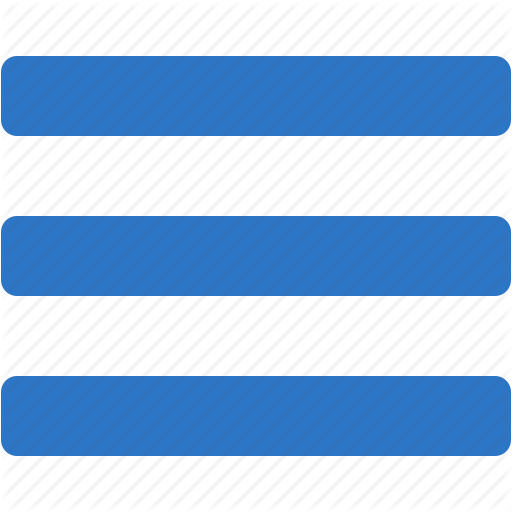 Finally I offer a personal recommendation on whether I think it's the best option or not. The Platinum edition costs $179. This gives you access to textbooks, audio CDs, and online material. You can also choose to purchase the French essential components which include one book and three CDs for $29.99. Alternatively you can purchase the French complete components course which includes three books and nine audio CDs priced at $49.99. Nine audio CDs - which allow you to study on the go. These audio CDs cover: vocabulary, grammar, and dialogues. Three textbooks - which include 46 lessons. The lessons cover vocabulary, review exercises, and cultural notes. Each of the textbooks comes with a large glossary and a summary of grammar principles. E-Tutoring - access to your own online tutor. This is a French-speaking native who will answer any questions about the course and give you the opportunity to practice the material. These tutoring sessions have no more than three other students. Online course - As well as the physical course you're also given access to the online material which allows you to study using any device and at any location. Smart phone and tablet apps - which include flashcards, grammar exercises, games, and conversation practice. Online social network - All Living Language customers get access to their online community. Here you can meet other students studying French and share advice and tips. The course uses the Living Language method. Based on the same language teaching methods that are used by the US Department of State to teach their diplomats and other government employees when they are posted overseas. This teaching method has been used for over 50 years and has a proven track record of success. It is similar to the language learning methods taught in most classrooms at college and high school. The system begins by teaching the most important words and phrases in French. These are taught using English as a base so you don't have to try and guess the meaning of the words. From there the student learns how to put these into full sentences and use them in conversation. Once the student can make basic sentences and hold simple conversations, he/she enters the retention phase. Here French Living Language uses multimedia practice to cement the knowledge into the long-term memory. Finally the student learns the underlying grammar principles to develop their own language for practical situations. Teaches reading, writing, and grammar - unlike some other language courses which focus solely on conversational practice. Living Language also teaches how to read and write in French. This makes it a much more complete course than some other language products. The textbooks alone nearly justify the price of this course. Personal tutor is a great touch - The program includes a live online tutor, which is one of the outstanding features of this course. These native French teachers can help clear up problems with the course material. It makes Living Language more closely resemble a high school or college based French course. Well priced - compared to some other competing courses on the market. The full course is less than a quarter of the price of absolute French. It is also approximately hundred dollars cheaper than Rosetta Stone French. Can be a little academic - it can sometimes remind you of every French class that you took in high school. The course follows a standardised format of listening to material, repeating it back, and writing. While this is a proven method for teaching French it can sometimes be a little boring. Compared to immersion-based programs such as Rosetta Stone, using Living Language French, requires a little more work. Short pauses for repeating phrases - one thing that I noticed is that you are not usually given much time to repeat the practice phases. In order to repeat phrases in the space provided you really need to know the material well. When you're starting up this means that you often have to pause and replay the CD. Speakers talk fast - people new to French may struggle to keep up with the spoken French. The French speakers talk at a normal speed, rather than slowing down for the non-English learner. Compared to other language learning courses Living Language uses a much more traditional approach to teaching French. Sometimes this can be advantageous compared to the immersive approach used by courses such as Rosetta Stone (my review). One of the problems with the immersive approach is that it is difficult to teach the intricacies of French grammar principles. With the Platinum French course you gain a good foundational base of knowledge before you progress to having conversations. 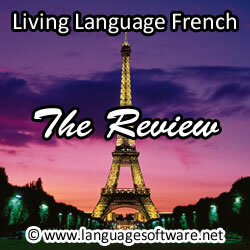 The language learning approach is quite similar to that used in Rocket French (my review). Like Rocket French it teaches the basic grammar and vocabulary using direct translations into English. Once this basic material has been taught using interactive conversation lessons, it allows you to use the knowledge that you have learned. Also, like Rocket French, the course includes a number of quizzes and games to help you cement your knowledge. Teaches all aspects: reading, conversation, grammar, writing. The online sessions with a personal native speaking tutor help a lot, even though you're not the only student in the virtual classroom. I found $150 for a decent online course being pretty well-priced. Too academic and standardized at times. Repetition pauses are short, which makes it difficult to catch-up. Speakers sometimes talk too fast during converation practice. Living Language is a very comprehensive course. It includes a huge array of language learning material with a wide variety of different media. The academic approach to teaching French used in this course will be familiar to most students. The major disadvantage is that the material is sometimes a little boring compared to some other courses. If you simply want to practice conversational French, Rosetta Stone may be a better option. Another good choice is Rocket French which includes more games and quizzes to add interest to your French learning and is priced significantly lower. Overall Living Language offers one of the more interesting French online courses on the market.